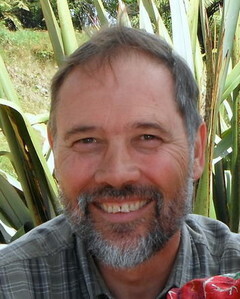 I'm Simon, counsellor and relationship counsellor in Takaka. The counselling process facilitates self-awareness, self-acceptance and the possibility of learning new ways of being in the world. I provide my clients - children, adolescents, adults and couples - with a confidential and supportive environment in which to explore their inner world and their relationship to family, friends and colleagues. building a relationship based on partnership, confidentiality and trust. listening respectfully with non-judgemental compassion to my clients' stories. believing that each person has the creative ability to find the best solutions to his or her difficulties that will enhance and enrich their lives. seeking on-going feedback from clients to improve the counselling process. Supervision: I am a qualified supervisor and have enjoyed providing this service to other counsellors, trainee counsellors, teachers and social workers since 1998. Mentoring/Coaching: I provide individual and group mentoring to people in organisations and businesses. I have establised and run several businesses in my earlier working life and have founded and worked in several community organisations. I work as a counsellor, supervisor, mentor/coach and group facilitator in the Tasman area. I have lived for most of the last 35 years in Golden Bay with my wife Carol Parkinson-Jones and have four adult children. I have a degree in Social Work, certificate in Psychodrama, certificate in Supervision and I am a member of the NZ Association of Counsellors. I have over twenty years experience in providing counselling/therapy and mentoring to individuals, couples, families and groups. From the beginning of 2000 I lived in Christchurch for 8 years, where I worked in social service agencies providing counselling and therapeutic/educational courses to adults, children, adolescents and families. I also worked in private practice providing mentoring/coaching to people in businesses and organisations. In 2008 we moved back to Golden Bay where I have continued my work in Golden Bay and Motueka. I also provide Family Court counselling through my work with Relationships Aotearoa. Funding for counselling: Funding can be accessed through a variety of means, including: oneself, WINZ, Nelson Bays PHO - doctor's referral, Community based social service agencies.